The puzzle game challenges players to connect batteries by covering the game board with tubes. Subway Surfers company Kiloo has announced the launch of Tesla Tubes on mobile. The puzzle game challenges players to connect batteries by covering the game board with tubes. In each level, players are presented with a different layout of colorful batteries, and must connect matching batteries with tubes by drawing lines between them. While it may be possible to connect a level’s batteries without covering the entire board with tubes, players must cover the board in order to continue. The game tracks the number of moves players take to finish levels, and rewards them with stars as they complete stages. In order to receive the perfect star for a level, players must connect the level’s batteries and fill the entire board with tubes in as few moves as possible. Gamers can replay stages to earn the perfect star if they miss it the first time. Levels become more complicated as players progress, as users may need to avoid rocks on the board, or guide tubes through tunnels, as examples. Gamers can use a limited number of hints to instantly connect batteries if they need help, and can earn additional hints as they play. 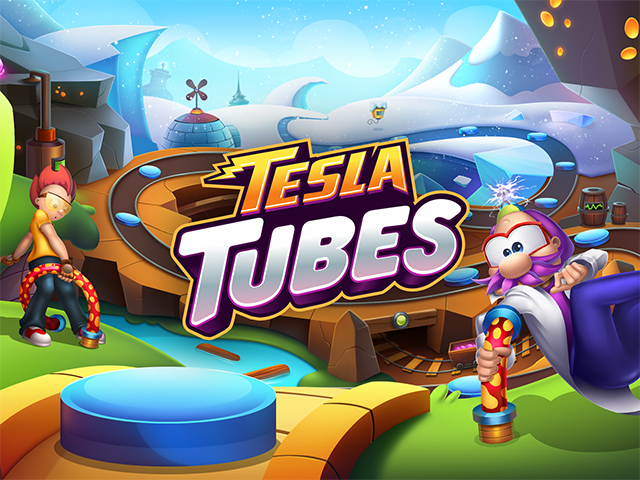 Tesla Tubes is available to download for free on the iTunes App Store and Google Play.